Although various rumors have surfaced before, it has been reported by Lionsgate recently that Catching Fire will not be filmed on the Hawaiian island of Kauai saying that, "While we have not yet released the filming locations, Kauai will not be one of them." 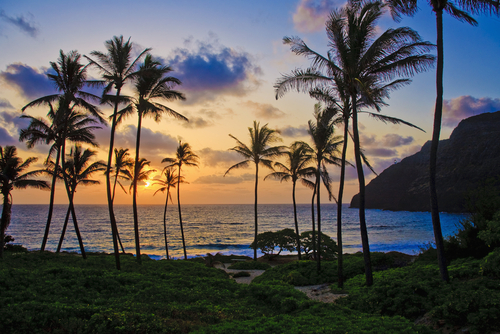 But now, Tim Ryans Reel Hawaii is reporting that Catching Fire may still be filmed on another Hawaiian island, Oahu. After scouting Kauai, Maui, Hawaii island and Oahu, executives for Hunger Games: Catching Fire selected Oahu as a location for four to five weeks of filming beginning as early as November and including preproduction will wrap in Hawaii just before the December Christmas break. Budget for the sequel is in excess of $100 million, sources said. As always, please consider this a rumor until we hear anything official from Lionsgate.